Some young gents are trying to pick up where the TIGCast left off. So, please guide and aid them in their endeavors. 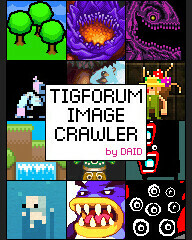 TIGcast is a podcast, on TIGSource. They talk about Bob’s Game, Love, Flash on mobile phones, and other things. Speakers are Dock, YagerX, godsavant, and C418. You can download the MP3 or listen to it online on zShare. There was also a TIGcast #0, which I don’t actually recommend anyone listen to due to how hard it is to understand anything. That one had Dragonmaw (who also edited TIGcast #1 and is the driving force behind these), malec2b, Dock, Cthulhu32, godsavant, and myself, and we talk about RunMan, Canabalt, “achievements”, and finishing games. It’s a pity the sound quality is so bad for #0 though. This is what a podcast looks like. There’s this one which stars a host of TIGers, including the host of TIGers! It was made by 1UP! Downloading it? Good. Now read the next post already! Go Go Go! There’s a pretty cool episode of NPR’s All Things Considered online now featuring games journalist and author Heather Chaplin discussing some of the notable (and independent!) games of the last year — namely Portal and Everyday Shooter. Also: Be sure to check out some of the related stories, especially Chaplin’s “”http://www.npr.org/templates/story/story.php?storyId=7812264" title=“Video Games Get Dash of Indie-Bred Maturity”>Video Games Get Dash of Indie-Bred Maturity." Good stuff! Graham Goring, aka The Arsecast Host (or “Thunderwang,” to the ladies), has updated his delightful Arsecast blog with a feature about rip-offs – something we can’t get enough of in this community. This one’s especially great because he tears into the mother of all rip-offs, Snood. Or, as I like to call it, “Pood.” Get it? Because it looks like poo, guys. Okay, maybe it’s time for bed. The Arsecast has posted an interview with Robert Fearon, a.k.a. Oddbob, a.k.a. the Mersey Remakes (and Retro Remakes) guy, a.k.a. 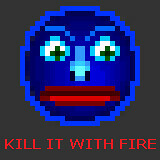 the guy who recently released Beast Invaders 3. I’m talkin’ about the guy, here. Graham describes the interview as “more like a informal chat which veers all over the place.” As if we were expecting anything else! Listen here if ya missed the link. Graham Goring, The Arsecast Host, recently previewed Braid, the upcoming time-bending platform game by Jonathan Blow, which won the Innovation in Game Design award at the 2006 IGF. He had some nice things to say. Very nice. Check it out. 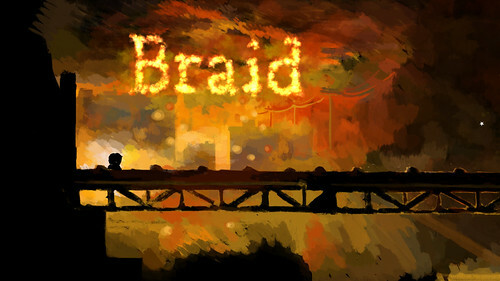 You might remember Braid being previewed a while ago in a similarly enthusiastic way. I was skeptical at the time, thinking it was hyperbole. But if Graham feels this way about it… I’m inclined to believe. BONUS CONTENT: Why not chase all this down with an interview with Mr. Blow over at GameDev.net? You’ll be glad you did. The new format is fab. I mean, it has screenshots and everything! Now I don’t have to bother imagining how the latest match-three puzzlers look like.